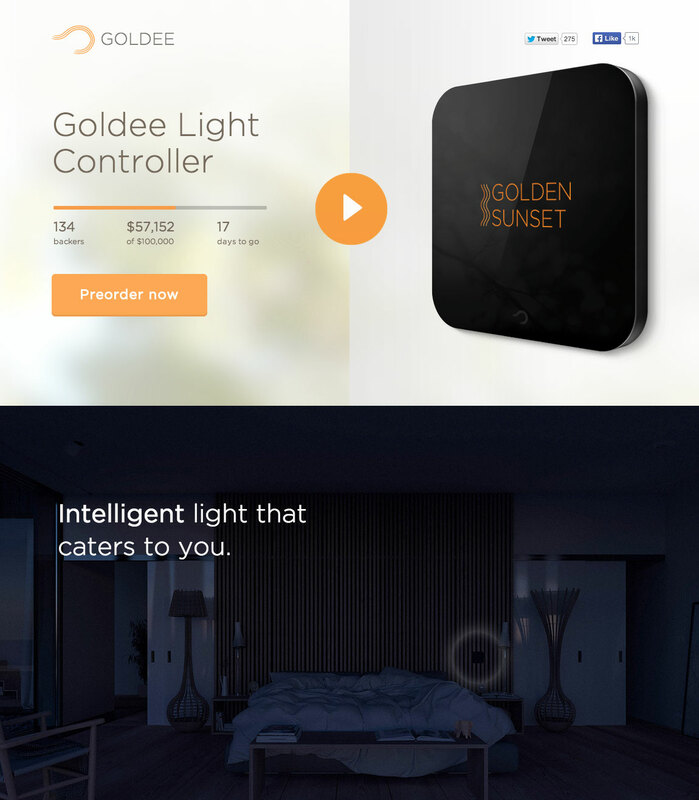 Gorgeous design and interactive elements in this One Pager for ‘Goldee Light Controller’. The One Page website does an incredible job giving you a feel for the product where you can actually interact with images and dim the lights. Goldee redefines how people interact with light. Replace your old light switch with an smart light controller. Join the revolution.